It's Fast, It's Furious, It's Slippery, It's Meeeeean Areeenas! And It's Fun, Fun, Fun! "In this year - this is a very sad year - of 2093, chaos rules as we know, and the world is generally a very shallow place. We need entertainment, ladies and gentlemen, we need fun! 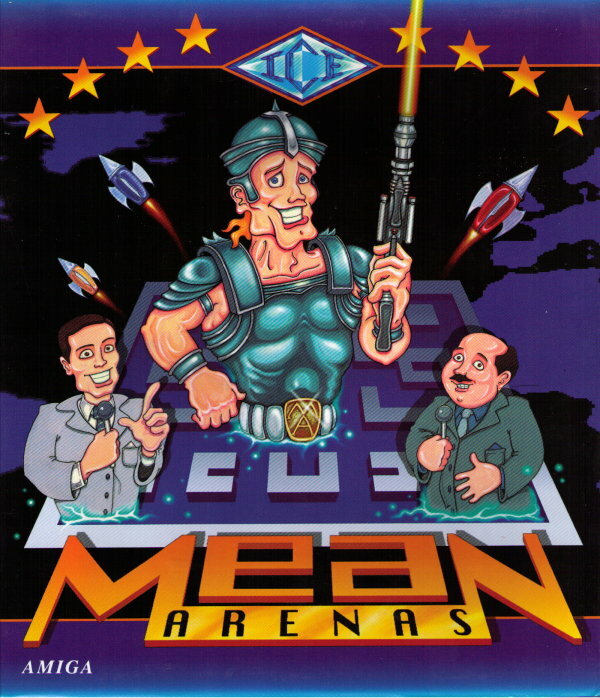 And oh my, is Mean Arenas fun! Spread throughout this complex, folks, are 26 arenas filled to the brim with monsters, hazards, weapons... and money! Buzz and Bob are our arena hosts; two lovely, lovely blokes who'll be popping up between levels with their words of wisdom for you, the public - the contestants! Enter carefully, ladies and gents, because you're never quite sure where the danger's coming from next. You will be unarmed to begin with and it's not a barrel of laughs because those guardians are programmed to kill, kill, kill! Collect weapons and blow them away, then pick up all that lovely loot. Remember folks: no loot, no escape route! Seriously though folks, the money's yours for the taking if you stay calm and use those teleporters and conveyors. Watch out for the bonus rooms and oh, by the way, hope you brought the sun block because those acid pits are mighty warm! Remember, Buzz and Bob are there to help, but from me it's over and out for now with the hope that your Arenas may always have meaning!" "It's fast, furious and funny!"